No Good Deed has topped the US box office ending the four-week reign of Guardians of the Galaxy. The thriller, in which Idris Elba plays an escaped convict, made $24.5 million on its debut, almost double its budget. Dolphin Tale 2 entered the chart at two, while sci-fi caper Guardians of the Galaxy slipped to third. Guardians of the Galaxy is the biggest film of the year so far in North America, taking more than $300 million. The Marvel release becomes the first film of the year to pass that milestone, while its box office takings around the world have reached the $600 million mark. Another notable new entry in the rundown is The Drop, starring the late James Gandolfini and Tom Hardy, which landed in sixth spot after opening in a limited number of cinemas. 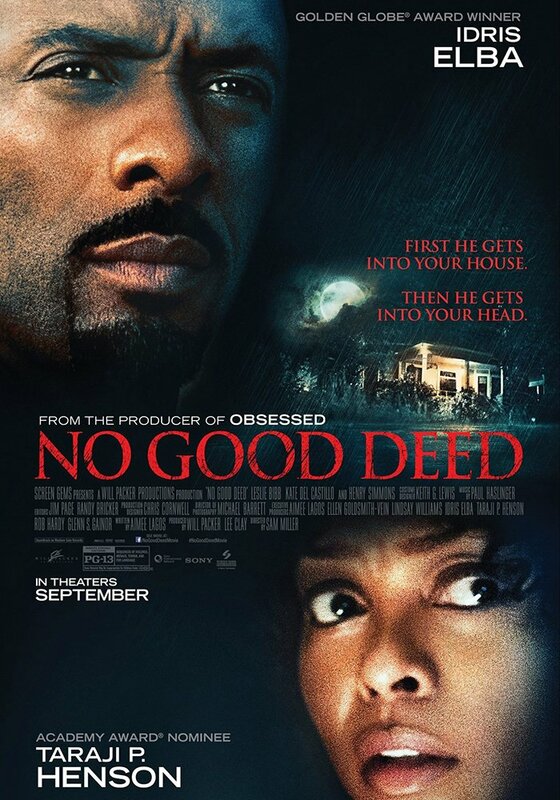 No Good Deed, which co-stars Taraji P. Henson as a woman terrorized by Idris Elba’s character, was hailed as a success by makers Sony, who marketed the film heavily prior to release. Overall ticket receipts were down 23% on the same weekend of 2013. The film chart is rejuvenated after last weekend, when there was no new release inside the top 10.